Historic Fort Gaines has a self-guided walking tour done in period costumes through its well-preserved 19th century brick fort. 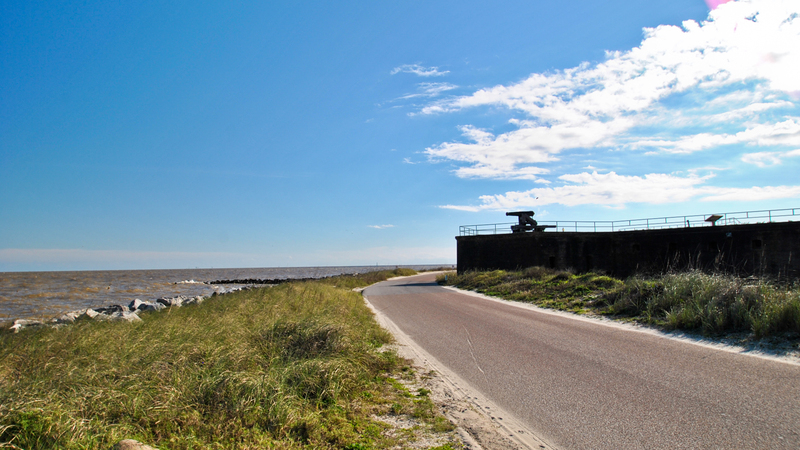 Located on the east end of Dauphin Island at the western approach to Mobile Bay, the panoramic view from the fort is impressive. This is one of our favorite things to do on Dauphin Island and near our Dauphin Island rentals. 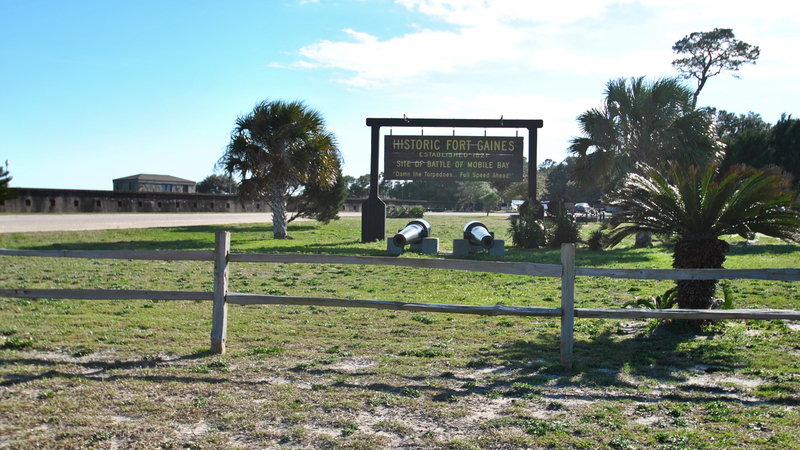 Fort Gaines was named after General Edmund Pendleton Gaines, a hero of the War of 1812. It was here where Admiral Farragut shouted his now famous order, “Damn the torpedoes! Full speed ahead!” The Fort was recently designated as one of the Eleven Most Endangered Historic Sites in America. Hours of Operation: 9am to 5pm. Closed Thanksgiving Day, Christmas Eve and Christmas Day. Admission Fee: Adults 13 and over are $8.00 each. A $4.00 fee is collected for children 5-12 years old.